This article first appeared in the September 2018 magazine edition of Australian Aviation. It has to be one of the best approach and departure patterns in Australia – for the view, if nothing else. To the north, the imposing edifice of Mount Coolum. Historical records suggest the name of what is actually a volcanic plug, 200 metres above sea level, originated from the Aboriginal meaning “blunt” or “headless”; steep at the sides with no true peak. Take a look and the description is spot on. To the east, the stunning, seemingly endless white sand and accompanying surf breaks of the Sunshine Coast from Maroochydore to Mudjimba, further north from Coolum Beach to Peregian, and beyond to iconic Noosa Heads. Multi-million-dollar houses, luxury units, more modest homes and holiday resorts vie for the best ocean outlook. To the west and south, sugar cane and other farm land is given a backdrop by the Glasshouse Mountains and the steep ridge line of the Sunshine Coast hinterland. In places, sub-division has lured a combination of southern investment and local re-settlement. It remains a region of opportunity: a heady mix of lush acreage and modern development – all served by a relatively benign climate. What’s more, the Sunshine Coast Airport itself in beachside Marcoola is an award winner. In November last year YBSU was declared the best under 10 million-passenger airport in the CAPA Asia Pacific Aviation Awards for Excellence. What’s not to like? For both trainee and more experienced pilots, not much. It is one key reason why, in a highly competitive environment, Flight Options – one of Australia’s foremost flight schools – is managing to retain instructors, bucking a current trend given impetus by the pilot shortage and migration of experienced hands to the airlines. 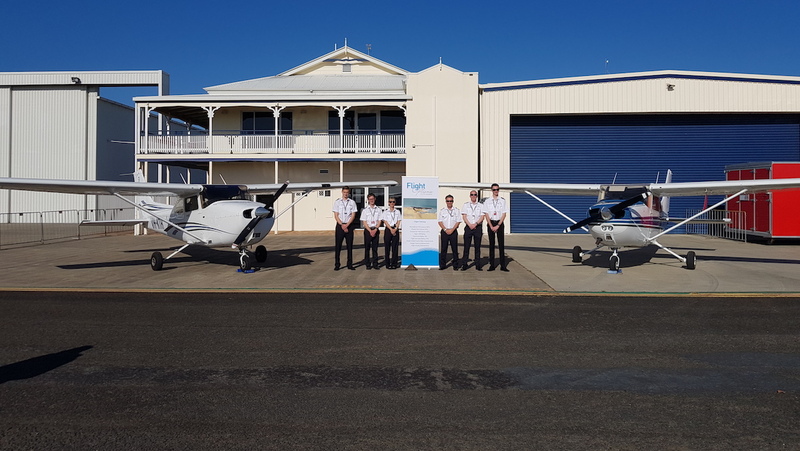 The Sunshine Coast is such an attractive place to live that it is home to a significant number of former airline pilots who have now turned their attention to instructing. First and foremost, Flight Options is about everything from recreational level (RPL) to advanced air transport pilot licence (ATPL) training, supported by some of the most sophisticated equipment available. The school is the ongoing brainchild of highly respected aviation industry veteran Steve Padgett, chairman of Alliance Airlines. It is more than 20 years since Padgett saw the potential of the Sunshine Coast, first establishing Sunshine Express Airlines and then, among other ventures, a training facility that became home to the Singapore (Airlines) Flying College. It was something of a full circle for Padgett when Flight Options, under the ownership umbrella of his Universal Training Systems group, bought back into the college premises shortly after Singapore Airlines decided to shut down and consolidate its training at “home” and at its facility in Jandakot, WA. 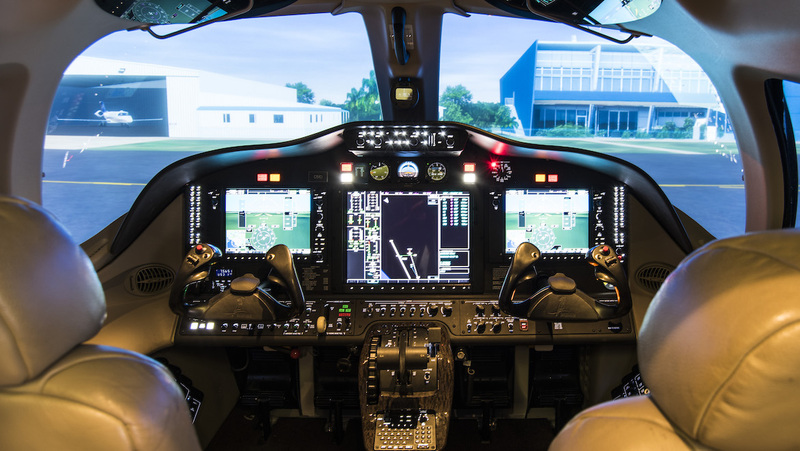 That delivered a CASA Certified Level D full motion Cessna Citation Mustang simulator for training, including type ratings and ATPL. 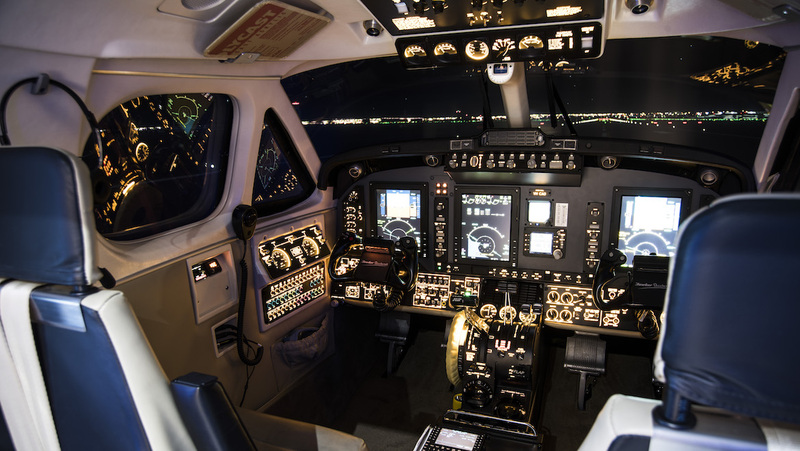 Since then, in a joint venture with Ansett Aviation Training, Flight Options has installed a King Air 200/350i Level D simulator that has become the “go-to” for training and endorsing Royal Flying Doctor Service pilots among other civilian and military King Air pilots. Now, the proven capacity of Flight Options to deliver a complete training regimen has provided the trigger for an ambitious new stage in its development: a flight training academy program pitched at the airlines and related operators. For pilot academy head of operations Tim Holland, it will deliver on a Padgett ideal: “His take was that we could form this academy to train people right the way through from learning to fly to the right hand seat of a jet, and be a feeder not only for his company but for others,” he said. The timing appears spot on given the current debate over pilot shortages that many agree is an issue of appropriate skill levels rather than sheer numbers. That said, there is a stark reality in the now well-publicised figures projecting a need for 637,000 new commercial pilots worldwide between now and 2036 with 253,000 required in the Asia Pacific region alone. Meanwhile, skilled pilot ranks in Australia are being chipped away by recruiters in both China and the Middle East offering high salaries and other incentives. That overseas migration has a flow-on effect to Australian regional airlines which, in turn, have become more concerted feeders to both Qantas and Virgin. In a recent report in News Limited publications, Regional Express COO Neville Howell foreshadowed possible cuts to some regional services because of the lack of Rex stand-by pilots capable of covering for sick leave. The report quoted Howell’s claim that 17 per cent of Rex first officers and 56 per cent of its captains had been lost to the majors in the past two years. 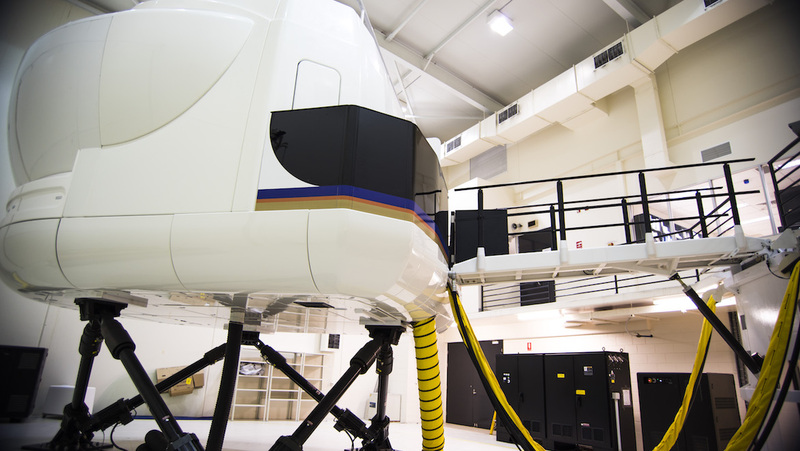 Rex trains its own pilots at its academy in Wagga Wagga, NSW. Virgin, meanwhile, has an established pilot cadetship program in partnership with Flight Training Adelaide, while Qantas has reacted by pledging to set up a $20 million academy from 2019 with initial capacity for 100 pilots a year rising to a potential capacity of 500. At the same time there are numerous CASA Part 142-accredited schools around the country capable of training pilots to ATPL level. So what makes the Flight Options proposal stand out? For Holland and his senior colleague Phil Laffer, the Flight Options head of operations and chief pilot, it’s down to the quality of the personnel, the sophistication of the equipment, and a cleverly-tailored regimen that will train each pilot to his or her operator’s standard operating procedures (SOPs). “Between Phil and myself we can do everything from zero to the ATPL flight test – RPL, PPL, CPL, ATPL, instrument ratings, and including all the endorsements and ratings on the way. It is literally a one-stop shop,” Holland said. The experience of the leadership is beyond reproach. Holland is a pragmatic Yorkshireman with a depth of knowledge that belies his age. His career opened with the military in the UK before he gained further experience in other parts of the world including the United States, Europe and West Africa. Holland and his wife Anita, a doctor and also a pilot, came to Australia via New Zealand where he opened a flying school and was the youngest flight examiner in the country. He flew Citations in WA before the couple decided to move east with Holland setting up another successful, and ongoing, flying school in Gympie in Queensland. As he tells it, Steve Padgett had an eye on him for a while as a potential academy leader given his background. “He always wanted an academy but had never been able to find the right person to run it,” Holland said. “I have an ATPL Grade One training endorsement, with all the flight examiner upgrades and privileges that make me one of the most senior examiners in Australia. Steve kept talking to me to open this academy for him, so about three months ago I gave in and came over,” he said. Holland also happens to be a licensed aircraft engineer. Laffer needs little introduction to those familiar with training and the world of business jets. As he puts it, he is “part of the woodwork” having worked with Padgett for 21 years, graduating from piloting tourist flights to running Sunshine Express for several years before becoming integral to Padgett’s then aircraft sales business Aeromil as a ferry pilot and more. 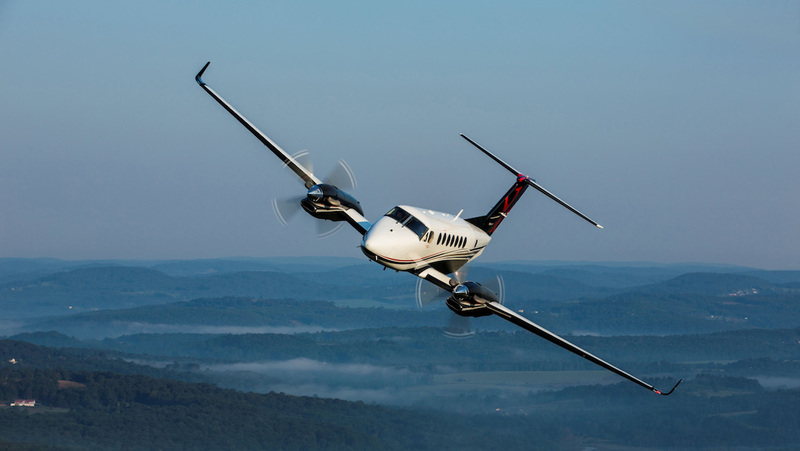 “Steve got involved with Cessna and I’m endorsed on just about every Cessna Citation,” he said. 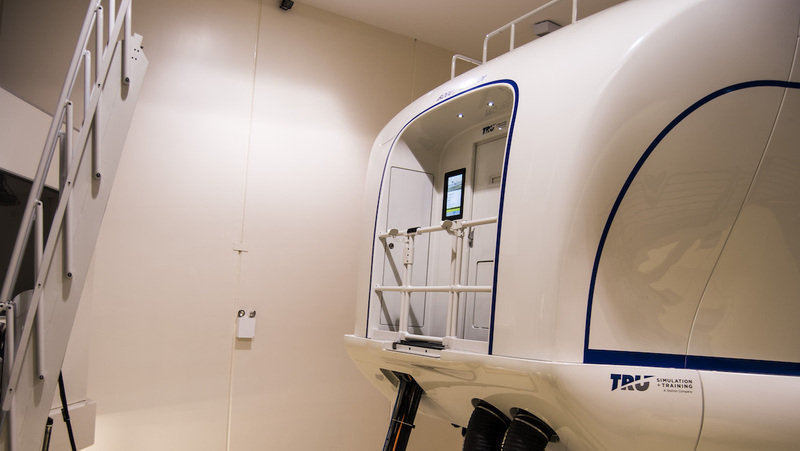 That simulator is now a keystone of the Flight Options operation alongside the Ansett Aviation Training King Air, and both come under Laffer’s remit. In part, the three-month timeframe quoted by Holland underlines the speed with which the new training regime is coming together. At the time of writing, Flight Options was working on the interior of a building acquired from Hawker Pacific and linked to its Sunshine Coast Airport site HQ. It was still in the process of carpet laying and office fitout. The reality, however, is that the training course foundations have a longer history. Laffer stressed that the Flight Options team has been building elements of the school and the program for the past couple of years. Both believe the training to an individual operator’s SOPs makes all the difference. It goes without saying that the course may have synergies with Padgett’s Alliance Airlines operation, but expressions of interest have gone beyond the obvious: “We have a few different companies who are really keen on the idea of taking cadets and training them to the specific airline they want to go to after they have been interviewed,” Holland said. Cadets will progress from the basics to CPL training in Cessna 182s before migrating to a multi-crew cooperation course (MCC) under the SOPs of their airline, and then instrument rating, as a pair, in the full motion Citation simulator. “So all of a sudden they are doing the same SOPs when they pop out the end and go to their airline for their type rating,” Holland said. The initial intention is for Flight Options to take batches of 10 students every six months. “The first 10 will come through on their RPL then PPL, and within six months will be starting on their CPL in the 182. That will then free up the other aircraft to start the RPLs again,” Holland said. “So at any one time we will have about 15 to 20 in the facility. First we will offer a 15-hour package to see how they feel, assess their potential and think about what airline we can put them up to, whether it’s a small regional, or a major. Then the airline will conduct an interview to its own criteria. Laffer, meanwhile, said Flight Options has latched on to something special: “One of the things that’s unique for us is to take someone from scratch, from ab initio training to advanced training, along two different avenues – the turboprop route into the King Air or the Mustang route ready for an airline. Laffer said the academy idea is underpinned by current success, particularly over the past six months, of already trained pilots requesting use of the King Air and Citation simulators to meet ATPL requirements. “Quite a few airline pilots based overseas, say with Cathay or in the Middle East, are coming back and doing their Australian ATPL because they want jobs back in Australia,” he said. A file image of a Beechcraft King Air 350. The delivery of cadet training to specific operator SOPs is a natural extension of what Laffer sees as a key component of attracting new and returning customers. Business has grown to the extent that a Monday to Friday working week has now been extended to weekends. “We are starting to get a broad group of organisations coming here to do their recurrent training,” he said. “What’s unique about our operation is that we train to their SOPs. So they are not coming here to have the same training they would experience with every other organisation. They are getting training specific to them. If training is not enough to keep staff occupied, Flight Options also operates a charter business and Laffer himself frequently finds himself in the air at the controls of a Citation. “We have a charter business based in Sydney operating three Citation 650s, a couple of Mustangs, a Bravo and an Encore. So we are not just a training organisation but also actually operate aircraft,” he said. He cited a recent Citation trip to a property deep in the Gulf of Carpentaria as an example of the type of charter work he undertakes. So, finally, back to those instructors and the capacity of Flight Options to retain them in the face of the airline flightdeck shortage drawcard. Laffer said it’s reasonably straightforward. “The difference between us and other operations is that our instructors have generally ‘been there and done that’. They are a good bunch from various experience levels, airlines operating overseas, Qantas, instructors with up to 30,000 hours of experience. Plus, he said, Flight Options has a distinct advantage when it comes to workplace quality and outlook. “I have been to a lot of sim centres around the world and this has got to be the best. “A lot of sim centres these days are in industrial parks far from the airport and you can’t get motivated to want to fly. Holland said his initiative for younger instructors will be to pitch a position with a regional or major airline if they stay with him for a minimum 18 months to two years. “It’s a real incentive,” he said. The first official advertising for Flight Options academy cadets was due to go out at the time of writing in conjunction with the launch of an academy instructors’ course. Postscript: This article originally appeared in the September 2018 magazine edition of Australian Aviation. Since publication, Qantas announced Wellcamp Airport in Toowoomba, Queensland, as the first of two sites for its pilot training academy.